Today, Shukan Bunshun revealed that Kawatani Enon (27) of the bands Gesu no Kiwami Otome. and indigo la End is supposedly dating Becky (31). The problem though is that he is currently married. Enon has secretly been married since last summer. He met Becky in October, and the rumored couple said that that they began a friendship soon afterwards. Becky was a fan of Enon’s, and she, like everyone else, had no idea that he was married. Enon told Becky that he was married in November. Shukan Bunshun discovered LINE messages between Enon and Becky speaking of Enon’s plans to divorce his wife and then marry Becky. 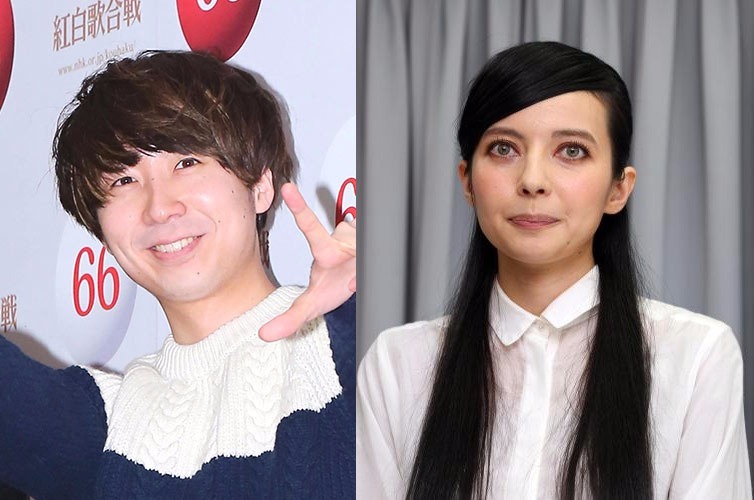 After Enon’s Kohaku Uta Gassen debut with his band Gesu no Kiwami Otome., he and his rumored girlfriend traveled to Nagasaki to spend the New Year with his parents. It is during this Nagasaki trip that the rumored couple was photographed together. When asked if they were a couple, both parties denied the allegations. Becky told Shukan Bunshun to ask her management if she was dating Enon. When Shukan Bunshun asked Enon about his wife, he said that she was just a friend. Both apologize for any misunderstanding that came about due to the nature of their friendship. Thanks to Reileen and Yoreruu! Becky: Ken-chan, thank you for the lovely Christmas Eve and Christmas. You took me to the sea. Treated me well. Gave me stylish gifts. Truly, truly, thank you. I was happy. Forever happy. Being together with you made me absolutely happy. Enon: There are discussions. It would be better if you waited while these discussions are taking place. It can become emotional. I hope that you wait while I am writing my thesis. Though it’s painful to have you wait, I want you to wait. Becky: Ken-chan, good morning. Ok. I’ll wait. I’m wait for you Ken-chan. I’m fine. So that you can turn in your thesis, you can be selfish. LOL!